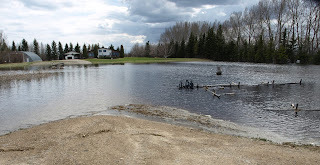 Flooding stranded many farm families like this in Saskatchewan, Canada. Circa 2010. PinP photo. We’re under attack from climate change—and our only hope is to mobilize like we did in WWII. Story here.